Model Number: PI4523. Springfield Armory 1911 A1 Magazine Features. Springfield Armory 1911 A1 Magazine Specifications. - For Gun Make: Springfield Armory. - Caliber.45 ACP. - For Gun Model: 1911 A1 Full Size ONLY. Springfield Armory XD-S Magazine. 45 ACP 6 Rounds 2 Sleeves Stainless Steel XDS5006. 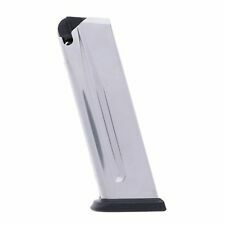 This is a factory Springfield Armory XD-S 45 ACP Magazine. 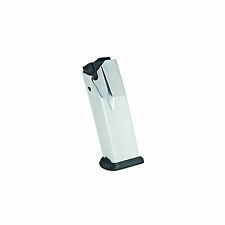 This magazine features a 6 round capacity constructed from Stainless Steel. Manufacturer Number: PI4520. Springfield Armory 1911 45acp. 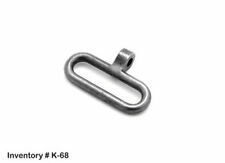 Features a seven round capacity, and stainless steel finish. Springfield Armory 1911 Full Size. 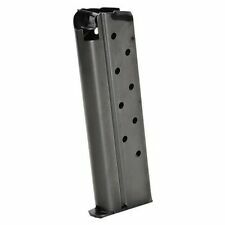 45 ACP Magazine 7 Rounds Stainless Steel. SPRINGFIELD MAGAZINE 1911-A1. 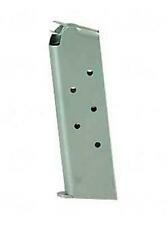 45ACP 7-ROUNDS STAINLESS STEEL MAGAZINE. Manufacturer Number: XD0923. This magazine is capable of holding 10 rounds of 9mm Luger. Springfield Armory XD Service/Tactical Full Size 9mm Models. Caliber: 9mm Luger. 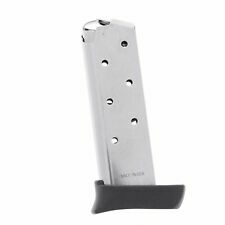 This is a factory STAINLESS STEEL 7-round magazine for the Springfield 911 in 380 ACP. Our goal is simple. This frustration was the driving force behind the creation of GunMagWarehouse and the reason we set out in 2012 to change the way shooters find the magazines they need. MFG # XDS09061. 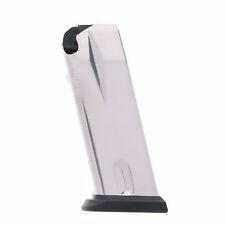 One magazine for the Springfield XDS 9mm 9round magazine, with two sleeves. This will only fit the original XDS version. 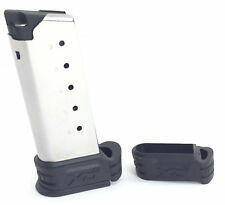 It can work on the Mod 2 version, BUT the plastic magazine spacers will not allow the magazine to fully seat. Choose Your Magazine - Available In Several Variations! 1 Original Springfield 45-70 Trapdoor Rifle M1879 Tool Stamped "US Mod 1879"
Works for all Springfield 45-70 Trapdoors from 1873 to 1890 and Earlier if you so desire. 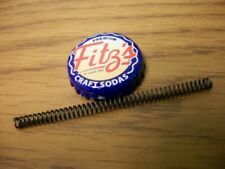 You will get one similar to the one in the photo, hand selected and inspected. A L L 1 0 0 % U. S. M I L I T A R Y O R I G I N A L ! Springfield Armory USGI M1 A 308 Stock. Shipped with USPS Parcel Select Ground. Brand New! 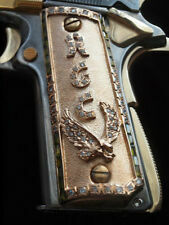 Pistol Parts For Your Favorite Gun! 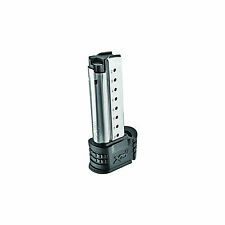 Springfield Armory XD XD2 Sub-Compact Magazines. This is a factory STAINLESS9-round magazine for Springfield 1911 pistols in 9mm. Featuring stainless steel construction, all steel internals and clear-cut witness holes, Springfield’s factory mags are the perfect choice for your 9mm 1911 pistol. You are purchasing one 8 round capacityfor XDS OR XDE. 6 total. Three with black sleeves, one with gray sleeve, and two without any sleeve. Please specify which one you want. First come first serve. Again this is for one mag only per purchase. Shipped with USPS First Class Package. Item is as is no international shipping thanks. Scarce WINCHESTER M1 -A Wood Stock Beautiful Grain Wood With Metal U.S. G.I. The p mark and DOD stamp is not here on this onethat I can see.May be my personal favorite old US Army issued rifle and this one is one of the nicer looking examples I could find. NOT THE GARAND BUT THE NEXT U.S. RIFLE TYPE. 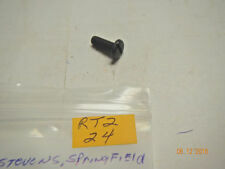 Springfield X-Tension Magazine Extension Black Polymer Construction Fits: XD9/40/357. Springfield Armory XD-S, 9mm, 7 Round Magazine. This magazine fits Springfield model XD-S only, it does not fit models XD or XD-M. More is better! Factory Springfield Armory XDs 45 7rd Magazine. This is a new, unused magazine that includes the Xtension. What you see in the picture is the exact magazine you will receive. Springfield Armory XD-40 Barrel, 4"
Springfield Model XD-40 - 4" Barrel. Check all your local laws before purchasing. USA Sales only. Model Number: XDS50071. 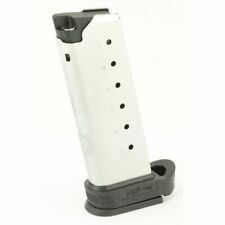 Genuine Springfield Armory Factory 7 Round magazine for the Springfield Armory XD-S. 45 ACP semi-auto self defense pistol. This Magazine includes #1 & #2 grip extensions. Springfield Armory XD-S Factory Magazine Features. Model Number: XD1923. 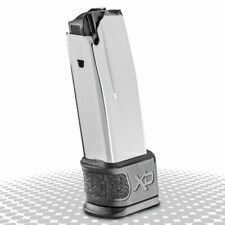 Genuine Springfield XD Gear 10 Round magazine for the Springfield Armory XD Subcompact 9mm semi-auto self defense pistol. Springfield XD Subcompact 9mm Factory Magazine Features. Model Number: XD4510. Springfield Armory XD & XD(M) Factory Magazine Features SPRINGFIELD ARMORY. Springfield Armory XD & XD(M) Factory Magazine Specifications - For Gun Make: Springfield Armory. Tanfoglio TZ-75. IWI Baby Eagle. Springfield P9. Hi up for sale. It is chamber in 9x21. Springfield Armory 1911 Factory Wood Grips LNIB. Pulled from a new 1911. OAL: 43" (including buttplate). Hardware (mounted). Model: 7.62 NATO. 308 M1. Action Type: Semi-Auto Rifle. There are few other scratches or dings and we would rate this at about 95%. P lease see our photos for a better idea of the condition. 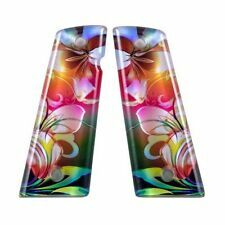 It is ONLY chalk and will clean off easily with a little oil. Feel free to mix up the colors! If no note is given, I'll automatically send 1 of each! These are USGI Hand guards Made by Booher Woodworking Co. Camden NY. This does not fit the 1903A3. ~ 1 Original Model 1898-1903 Springfield Krag Rifle Front ~ Upper Band, Stripped ~. 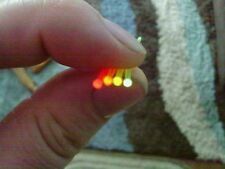 You will get one similar to the one in the photos, hand selected and inspected. A L L 1 0 0 % U. S. M I L I T A R Y O R I G I N A L ! 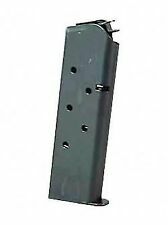 Springfield Armory M1 A 7.62 / .308 10 round magazine Factory OEM. Condition is New. Shipped with USPS First Class Package. This is a factory STAINLESS10-round extended magazine for Springfield 1911 pistols in. 45 ACP. Our goal is simple. This frustration was the driving force behind the creation of GunMagWarehouse and the reason we set out in 2012 to change the way shooters find the magazines they need.